Our new restaurant is open daily from 7 am to 11 pm. 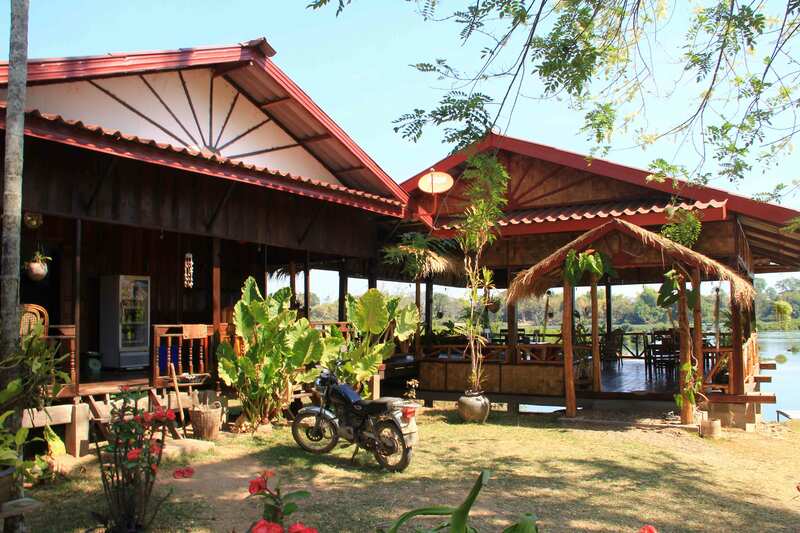 Coffee gourmets can enjoy carefully selected arabica coffee from the Bolaven Plateau. Other highlights of our cuisine are fruit shakes, western breakfast, baguette sandwiches, fried Asian dishes, tasty curries, delicious Lao specialities, fish, German and Swiss cuisine, salads, soups, sweet desserts, red wine and a rich choice of cocktails. All our dishes are abundant and feeds the hungry. We prepare both dishes and drinks freshly on site and only with drinking water. 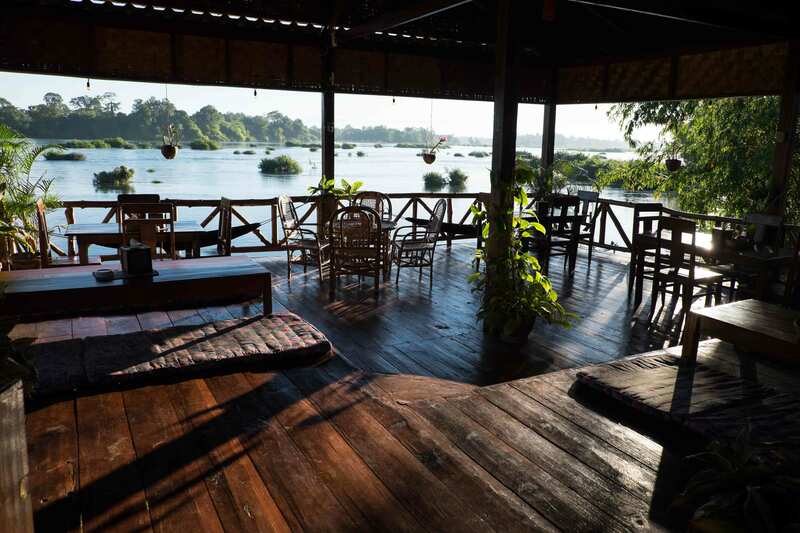 Enjoy them in our restaurant which offers an unforgettable view over the Mekong river and its multifarious island world. You can order your dishes medium, hot or even sharply flavoured the Asian way. As we want to help you save our environment and reduce plastic waste, we offer our guests the opportunity to refill their water bottles. We are sorry to say that no food is served any more after 21.30 hours.